It makes sense for a firm that thinks in blocks of seven to 10 years to take about eight before hitting its stride. The listed units of Blackstone, the buyout shop run by Stephen Schwarzman, finally trade noticeably above their 2007 initial public offering price. Owners of the equity, however, may yet prove more fickle than investors in Blackstone’s funds. In the first three months of the year, Blackstone more than doubled the cut of profit available to unit holders to $1.2 billion. Successful sales of stakes in companies and properties led to notable rises in revenue, profitability and fundraising. Tony James, the firm’s president, was practically giddy during a call with journalists on Thursday, touting the net annual returns of 16 to 20 percent the firm makes on its investment funds – routinely doubling, James says, what is available in public markets. Buyers of stakes in Blackstone, the fund manager, haven’t fared as well. In what at the time was the biggest U.S. IPO in five years, the firm originally sold units at $31 apiece. Having reached a nadir of about $4 in early 2009, they now trade at nearly $42. That represents only a 20 percent gain over the stock’s life, compared with nearly 40 percent for the S&P 500 Index over the same span and better than 130 percent for shares in BlackRock. Blackstone once owned the giant asset manager and now covets its valuation of 18 times next year’s estimated earnings. With an equivalent multiple of almost 11 times, Blackstone remains short of that goal. It is nevertheless entitled to brandish much improved long-term bona fides. Schwarzman and James have diversified the business with investments in private equity, real estate, hedge funds and credit. Blackstone also has slowly changed perceptions of its tightly controlled business, and as an early buyout firm to go public, paved the way for rivals. Even so, investors in its listed units probably won’t have as much patience as the pension and sovereign wealth funds that voluntarily lock up their cash for years in Blackstone’s funds. In the 2008 crisis, shorter-term investors unloaded the company’s units at a feverish pace, seeing them as merely a leveraged bet on the stock market. Only when Blackstone’s equity has shown resilience in a downturn will the firm truly deserve a victory lap. 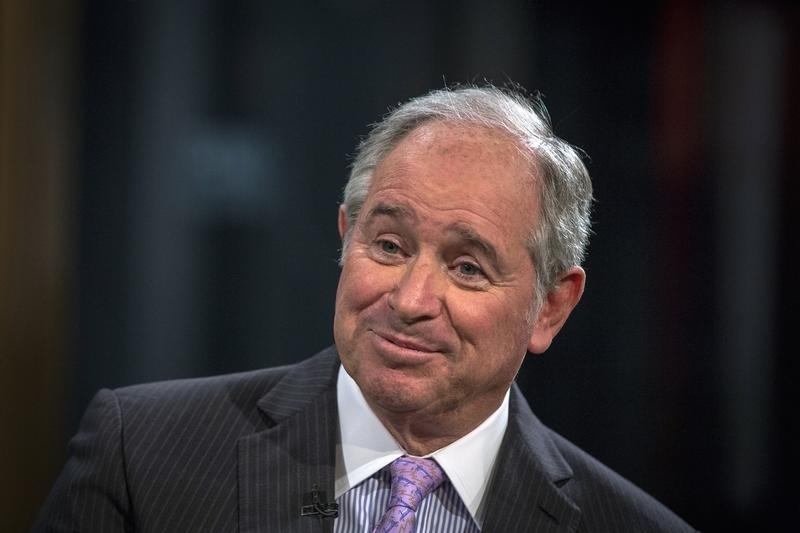 Blackstone said on April 16 that adjusted first-quarter profit doubled from a year earlier, thanks to sales of stakes in its portfolio companies and real estate assets. The private equity firm’s economic net income, a measure of earnings that includes estimated and unrealized gains, was $1.6 billion for the quarter.